When Ubisoft first announced Assassin's Creed 3, and the tentative snippets of an entirely new setting were revealed, I breathed a heavy sigh of relief. Assassin's Creed as a series always captivated my excitement and imagination. The core concept, that of exploring one's genetic memories to live through the trials and tribulations of our ancestors during historical times in order to thwart a centuries old conspiracy carried out by the Knights Templar, was utterly fascinating and fresh in a market dominated by clunky Space Marines with overly gruff demeanours. If you’re not familiar with the plot up till now, here’s a brief catch-up: the series’ actual protagonist is present day Desmond Miles, a meek bartender who was kidnapped by a powerful corporation called Abstergo. 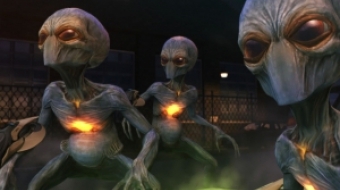 Abstergo, the civilian front for the secret, villainous Templar organisation, is locked in a centuries old battle with the freedom-loving Assassins, with all efforts focusing on locating strange artifacts that grant their wielders immense power over others. Desmond is the modern day descendant of some of history's most notable assassins, so it’s through the exploration of his genetic memories via a reality-simulating machine called the Animus that Abstergo seeks to locate the artifacts of power as they were hidden throughout history. 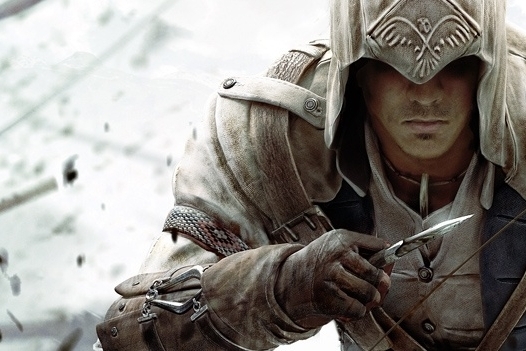 At the start of AC3, Desmond has already lived through two of his assassin ancestors, and has begun to pick up some of their impressive skills. It is now down to an escaped Desmond and a ragtag ensemble of Assassin familiars to stop the Templars, and yet again the answers they seek lie in the past. 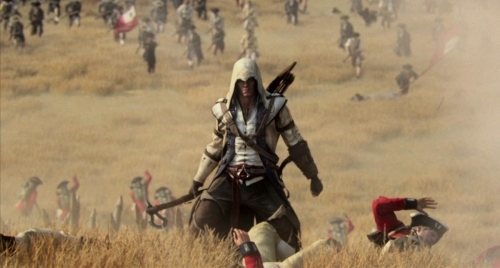 Protagonist Connor Kenway, aka Ratonhnhaké:ton. Try pronouncing that. As enrapturing as each game was, I was so disappointed when it came to actually playing the games. Beautiful aesthetics and incredible immersive potential were marred by unnatural controls and mind-numbingly repetitive objectives. Ever since the first game, the folks at Ubisoft have been slowly improving the gameplay with each sequel. 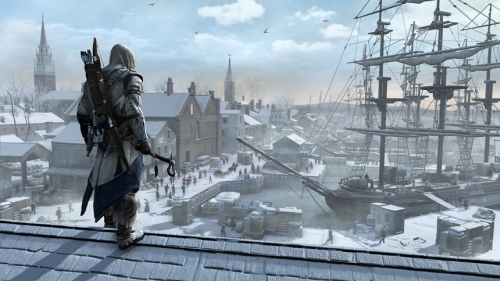 Assassin's Creed 3 is by far the closest they have come to that ideal, but it sadly still falls short. Connor chases after a target, musket in hand. 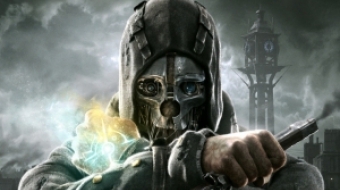 It's immediately apparent that a much bigger emphasis has been given to creating a genuinely intriguing story, something which many gamers felt was lacking in the series before. There are surprise twists, actual character arcs, and a fascinating rivalry between our hero, Connor, and the central antagonist, the colonial Templar Grand Master. This new narrative focus and tangible character depth serves the game tremendously, as now we have a reason to care about Connor's struggle against the Templar villainy, an emotional drive that was lacking in the previous installments of the series. One warning: if you do attempt to immerse yourself as deeply into any available scrap of narrative, namely reading all the character biographies as they become unlocked, don't be surprised if you end up completely spoiling major upcoming plot twists. It can be flabbergasting when one of the game's early and strongest plot twists was nonchalantly mentioned in one of these texts, the bio for a Mohawk woman you meet. Don't read that one, and an hour or two later you will thank us. Surely an oversight on the writer's behalf. 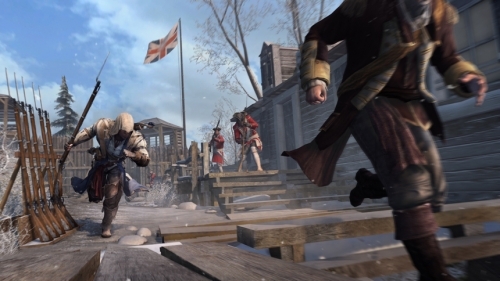 For what AC3 achieves in setting, it more than blunders in gameplay. Conor has access to some pretty impressive and varied gear, with tomahawk axes and bows reflecting his Iroquois heritage and gunpowder muskets and pistols as symbols of the colonial times. These are complemented by an array of smoke bombs, hidden daggers, swords and poison darts. The breadth of variety here is actually unfortunate, as the inventory selection system the game uses is so startlingly awful and stunted that you will be driven to not bother exploring your options, limiting yourself to the most rudimentary of gear as much as possible. Anything to avoid bringing up that slow weapon select wheel, dial through every item till you find the right one, assign it to one of four quick select buttons and then slowly fade back into gameplay. Considering that the game wants you to do this process multiple times during combat, you can’t help but feel that someone at Ubisoft needs a stern talking to about sensible design, with a ruler wrapped on their knuckles. Combat is a shamefully effortless experience, most certainly not in a good way. An apt example of Ubisoft's penchant for style over substance; the seemingly free flowing, visceral melee combat almost always boils down to two or three lazy button presses over and over again until you are the only one left standing. 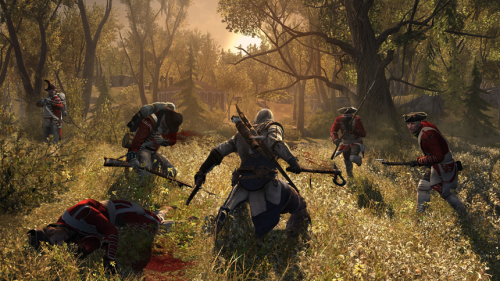 It's hilariously easy to enter and exit combat completely unscathed, even if you did just gut and maim 20 or so redcoats, with Connor automatically slicing opponents to and fro. This made me think Ubisoft didn’t want people actually playing the game to get in the way of their admittedly beautiful new combat animations. If you're familiar with the truly astonishing combat system utilized in the Batman: Arkham series, the name of the game is fairly similar: enemies surround your character and in between your offensive moves you can catch any enemy attack with a well timed button press, allowing for a painful counter-attack and well deserved punishment for your oppressor’s foolish bravado. Where the Arkham games set the standard for this system with a deep risk/reward aspect to balancing offense with defence by earning powerful new moves through building sequential attacks at the risk of getting hit, Assassin's creed lacks any of that. Bright red triangles appear over attacking enemies' heads, giving you more than enough time to press the counter button and immediately dispatch your foes with one button. Even if multiple combatants attack simultaneously, one button press and conor will eliminate everyone involved without any further adieu. 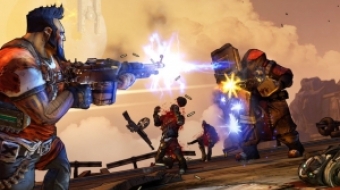 There is nothing more to it and no real reason to experiment either, so fights fast turn into prolonged chores rather than death-baiting duels after the initial wow factor wears off. Old school gameplay gets a shiny new skin. Does it still hold its charm?